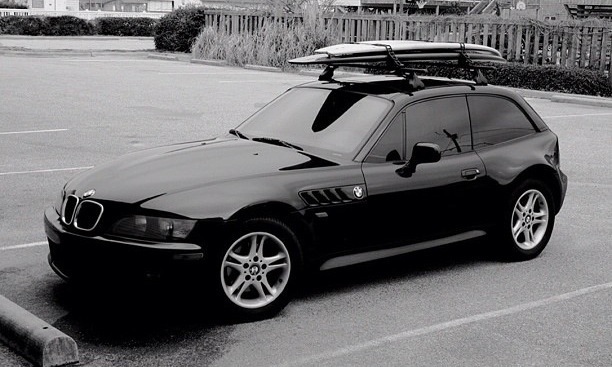 Paul’s Z3 Coupe from Strathmere, NJ sporting a Thule 753 roof rack and surfboards. I like the look! I’ve only seen one or two other Coupes with surf boards mounted up. 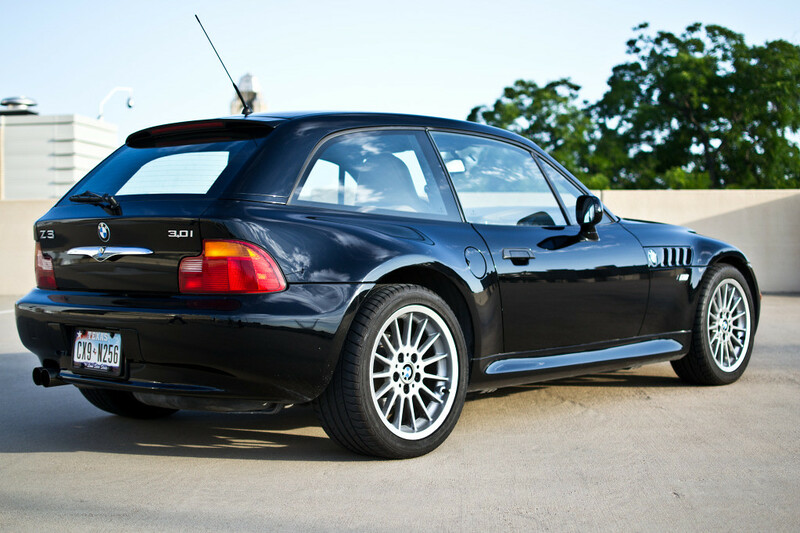 This Z3 Coupe was posted for sale on bimmerforums.com by mmeccam of Fort Worth, Texas with 72k miles for $15,500. 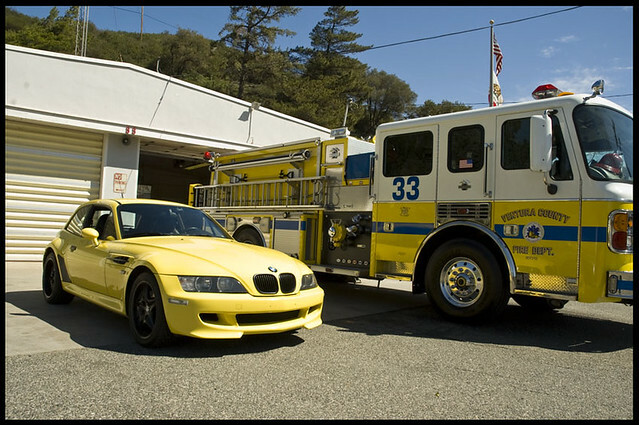 The sunroof delete Coupe has a number of Dinan mods including: exhaust, intake, throttle body, and programming. It appears stock, otherwise. This is a nice looking Coupe with a mild and tasteful set of mods, which compliment the already fairly potent non-M M54 engine. This Z3 Coupe was posted on zroadster.com it’s new owner M346QP of Austria. The Coupe is essentially all stock aside from Bilstein shocks/struts, Eibach springs, and Bastuck exhaust. Even with just the suspension change, the all black sunroof delete Coupe looks great, including the stock Style 32 wheels. Given the non-chrome trim ringed headlights, I believe this is a 1998 or 1999. 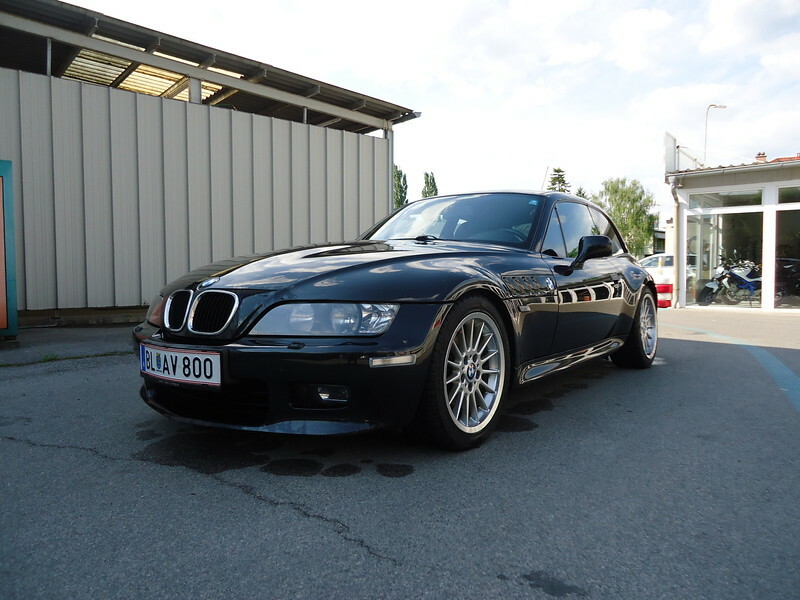 This sunroof delete Z3 Coupe was posted for sale on nettiauto.com in Espoo, Finland with 194,000 km (120,546 miles) for 16,300 â‚¬ (~$21,388 USD). Mods include: ZHP shift knob, aftermarket head unit, painted center console gauge/button panels,Â M side grilles with deleted M badges, black Roundels, body color kidney grille surrounds, 19″ BBS CH wheels, Bilstein suspension, Eisenmann Race exhaust, rear wiper delete, M50 intake manifold, EVOSport Power Pulley Kit, Stewart waterpump, Wiechers strut brace, LTW flywheel, and Sachs 535i clutch. 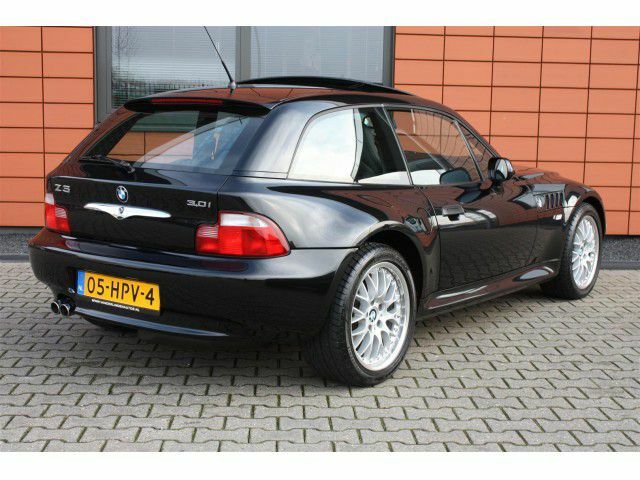 This Z3 was posted on autowereld.nl in Hoogeveen, Netherlands with 102,667 km (63,794 miles) for â‚¬19,950 (~$26,238 USD). It seems like it has been quite well cared for — the paint is nice and glossy, and the interior looks better than I would expect for 64k miles. I don’t see many Z3 Coupes with the optional brushed aluminum trim, but I greatly prefer it to the wood trim found in so many. I had wood trim in my first Coupe, and never liked it. The aluminum looks really sharp, especially next to the rest of the interior in black. The automatic transmission doesn’t seem to have much of a demand, but there are certainly people out there who would prefer it. 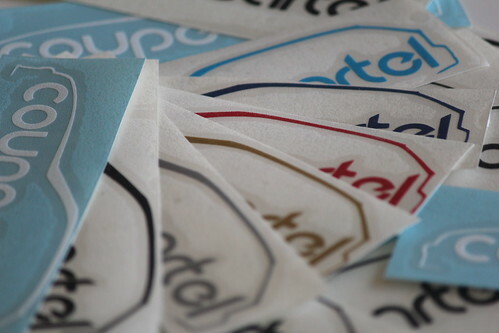 It does, however, narrow an already slim market of buyers. I’m not too sure about the pricing, but it would be at least $10k too high in the US. Can any European readers comment on theÂ reasonability of the price?